Owning the employer brand of a massive global organization can be a daunting task. Who owns the Employee Value Proposition? Where do the budgets come from? How do you go social when the company is leaning on the conservative side? Not only is employer brand decision-making time consuming in most conglomerates, but the go-to-market time is also long because of the involvement of various stakeholders. However, if quality talent is your priority, you need to overcome these roadblocks to optimize and socialize your employer brand to its full potential. We reached out to Parag Paranjpe, the Group Head of Talent Staffing & Employee Relations at Aditya Birla Group, one of India’s oldest and largest companies operating in over 33 countries and 18 industries. Aditya Birla Group had been grappling with creating a centralized employer brand strategy across its nearly 40 subsidiaries. Mr Paranjpe shared with us how they succeeded and also developed a measured approach to go social with their employer brand. Should the employer brand be centralized or autonomous across subsidiaries? In 2013, Aditya Birla Group decided to accelerate its efforts on communicating their employer brand to the outside world. The first dilemma at hand was that of ownership of the initiative. Should the decision making and implementation rest with each child company, or should efforts be driven centrally through the corporate group HR? After much deliberation, the top management decided that the group HR would own the employer brand initiative centrally. Their companies are at varying levels of maturity in talent acquisition and therefore strengthening the parent brand would allow all companies, small and big alike, to leverage this brand equity for talent acquisition and retention. Centralized ownership also helped the group in reducing their go-to-market time, maintaining consistency in brand communication and ensuring frictionless execution of various initiatives. Is it possible to embrace social media with a conservative approach? 1. Don’t chew more than you can digest: As a first step towards building their employer brand on social media, Aditya Birla Group decided to optimize their presence on LinkedIn. In parallel, they also revamped their own corporate careers website and Global Management Leadership website to provide a great candidate experience and additional information to the professionals who land on these anchor properties via social platforms such as LinkedIn. 2. Don’t comment on competition: The group has a strict social media policy against comments on competition, positive or negative, to minimize the scope of controversies. 3. Content is the core of your strategy: Young professionals want to stay ahead of the curve. Therefore, Aditya Birla Group doesn’t only highlight its business accomplishments and employee culture on social; it also brings value to its followers by publishing interesting articles on management, technical whitepapers and industry news. “The world of social is dynamic and your content goes stale before you know it,” according to Parag Paranjpe. That’s why Aditya Birla’s team suggests constantly refreshing your editorial calendar and staying relevant to your audience. 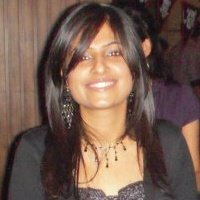 The corporate HR team at Aditya Birla Group gathers interesting content from their corporate communication team as well as from the HR heads of individual companies in the form of articles, videos and presentations. The team also partners with external agencies to make this content more digestible and engaging on social media. 4. Measure as you go: The team at Aditya Birla is continuously measuring their brand performance with engagement stats such as career website/career page visitors, content download, followers, and talent brand index. They have actually grown their LinkedIn follower base by 3x in the past 8-9 months by sustaining momentum with their organic and paid efforts. As a part of their 2014 plan, Aditya Birla is rolling out their employer branding initiatives in international markets such as North America and Canada that are critical for their expansion plans. Also, they are extending their presence on other social media channels such as Facebook and Twitter as a part of the comprehensive content strategy on social media. 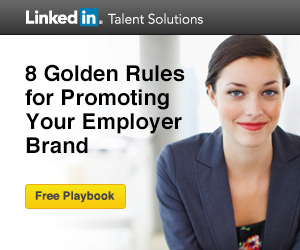 If you want to learn more about building a social talent brand, please download our Employer Brand playbook. You can also visit our LinkedIn Talent Solutions India website to know more.